The third volume of the FX hit Sons of Anarchy! Trouble rears its head in Tucson when a new MC, The Slaughter, ride into town looking to deal meth against the Sons’ wishes...and they won’t let anyone, including SAMTAZ and SAMCRO combined, stand in their way. With loyalties tested and lives on the line, double-crosses abound, and it’s up to Jax to keep it all together. 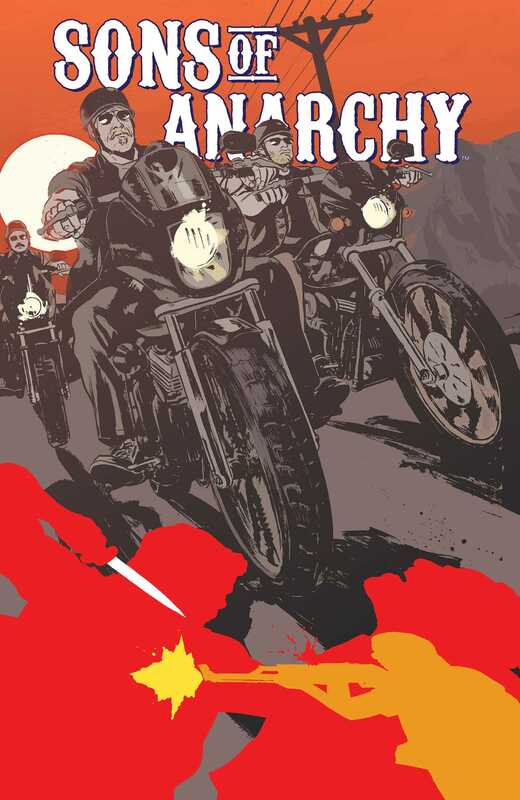 Written by Ed Brisson (Sheltered) and illustrated by Damian Couceiro (Planet of the Apes), this thrilling third volume bridges the gap between seasons 4 and 5 of Kurt Sutter’s revered television series.